Western meatballs are made by shaping ground meat. In Asia, meatballs are made by pounding, not grinding. The end result? Chinese meatballs have a smooth texture wholly unlike their American cousins. It's common in Singapore to find this style of meatball made from fish, squid, octopus, and beef. Fish ball noodles come in many combinations - the photo above is typical, a combination of yellow noodles (mee), fish balls, and fish cake. This is one of the national dishes of Singapore. It's an absolute must-have, and a dish that every overseas Singaporean longs for with great intensity. 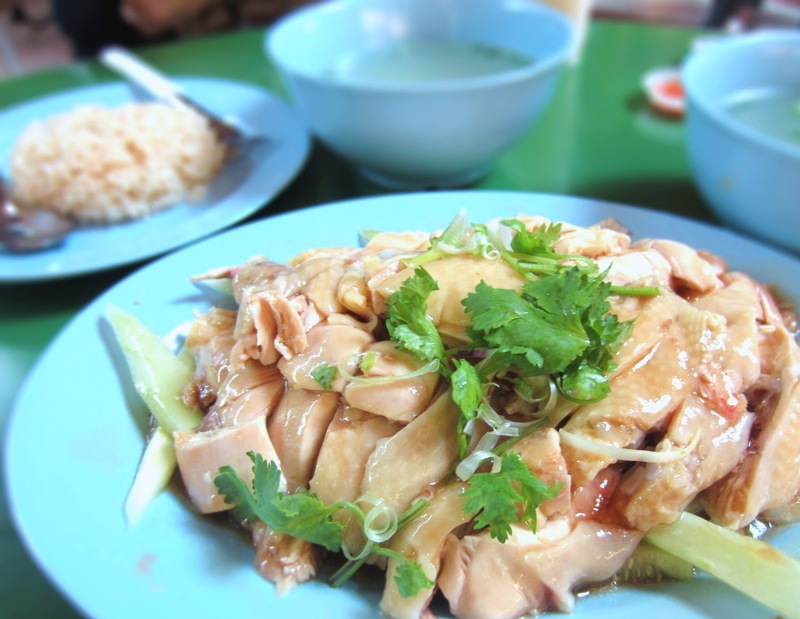 Yet Hainanese chicken rice is deceptively simple: In essence, it's a boiled chicken with rice cooked in oily chicken stock, served with ginger, dark soy sauce, chili, and the broth it was cooked in. It sounds simple, but somehow getting the texture of the chicken exactly right and getting the rice (oh, the rice!) to have the correct degree of oily sheen is a tricker business than you'd imagine. This is one of my favorite foods in the world. Related: Things to Eat in Singapore: Chilli Crab and Things to Eat in Singapore: Bak Kut Teh.